Admares has won the contract to build floating buildings for phase 1 of the Marasi Business Bay development in Dubai. The company will design and manufacture 10 water homes, 2 restaurants and an exclusive yacht club at its purpose built facility in Finland before transporting them to Dubai by the end of 2017. Developed by Dubai Properties, the entire Marasi Business Bay area will include the longest waterfront promenade in the Emirates and the UAEs first-ever homes on water with pedestrian and boat access, as well as restaurants, leisure facilities and five palm tree-lined yacht marinas with approximately 700 berths. 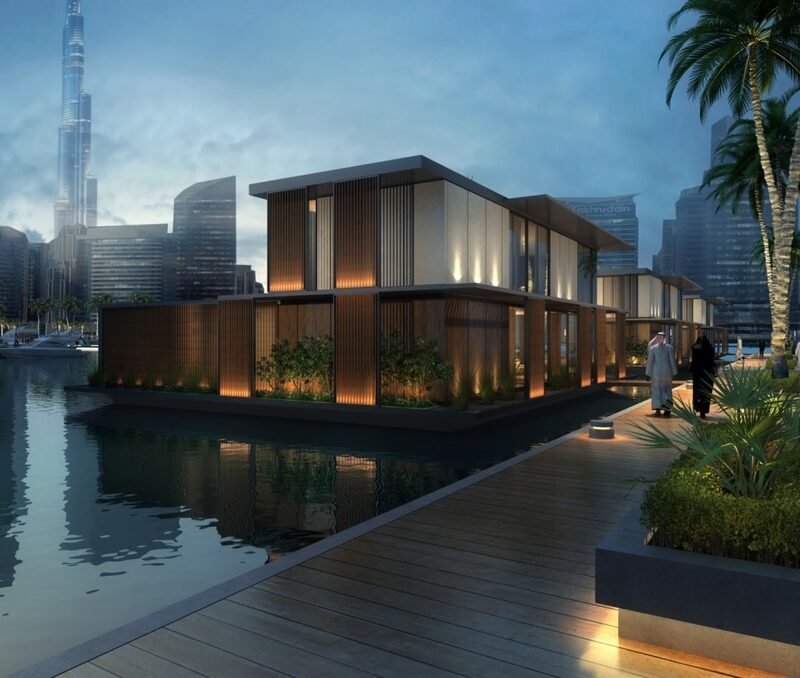 The developments main architectural feature will be the homes on water, each of which will enjoy exclusive boat access and views of the surrounding Dubai Water Canal. Admares is a pioneer of innovative floating construction, including the Burj Al Arab Terrace which was added to the famous hotel last year. The company is working on the Marasi Business Bay project in partnership with Finnish interior design studio Kudos and Sigge Architects who also worked on the Burj Al Arab Terrace. Admares CEO Mikael Hedberg, said: We started at the top with our first project in the Emirates, working with Jumeirah and Dubai Holding for the Burj Al Arab Terrace.